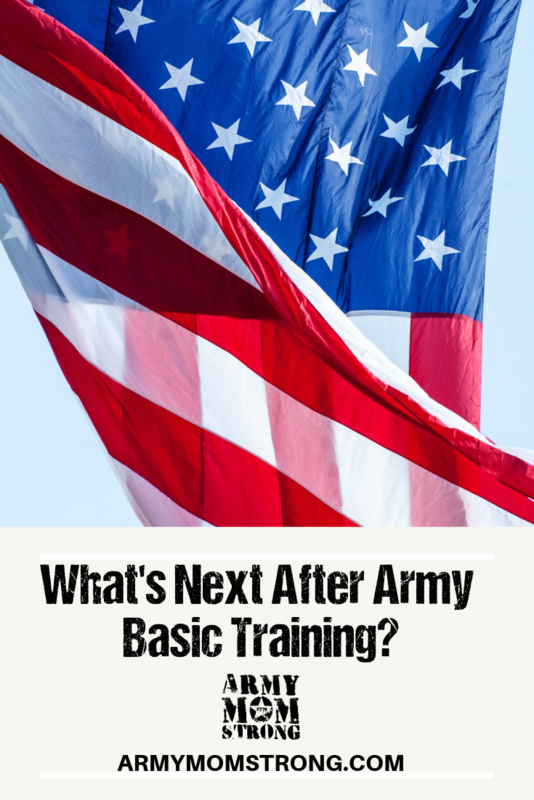 What’s Next After Army Basic Combat Training? 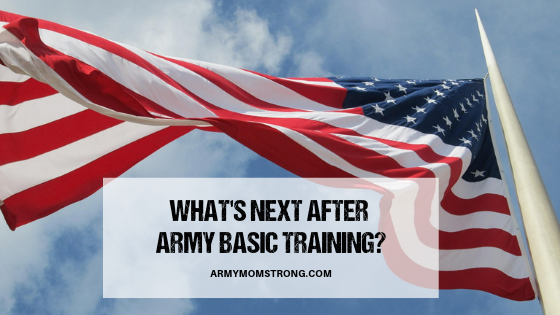 You are here: Home / Families / What’s Next After Army Basic Training? You wait for the end of those 9 weeks so you can see your soldier again and feel the joy of that hug. As your soldier completes BCT, they will be ready for the next step in their military career. 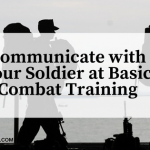 Usually your soldier will be headed to Advanced Individual Training (AIT), where they will learn the skills to do their actual job in the Army. It’s an incredible experience as your soldier will get hands-on training as they learn to become as expert in their chosen field. What does that mean for you as an Army Mom? As Army Mom’s we make sacrifices too. It’s not an easy journey, but it can be a fulfilling one. It takes a special type of love coupled with heartache and joy. While our children serve, we proudly support them amid the fears that we feel deep inside. Most likely, your soldier’s Army AIT base will be located miles away. When my soldier went to AIT, he was on the east coast while I was on the west coast. Was it hard for me? You bet! First know that your soldier is focused on learning their new job and becoming an expert in their field. As parents, we must respect their time and not expect to hear from them as much as we would like. As we let go of our children to military service, there is an adjustment that we go through. So, what can you do as they move through the phases of their career? After AIT your soldier is off to their First Duty Station (FDS) and after a time, may be deployed somewhere in the world. Their FDS can be state-side or out-of-country. My soldier’s FDS was in Germany. I used it as an opportunity to visit Germany and the surrounding countries while enjoying a visit with my son. 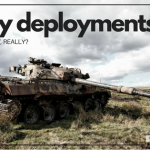 Deployments were harder for me. Knowing that my soldier was in harm’s way for an entire year caused a lot of sleepless nights. Sometimes I can handle it; sometimes I cannot which results in quiet tears. When sadness overwhelms me, I work hard to let those moments be moments, and then get on with enjoying life. Regardless of your soldier’s job or where they are at, understanding what they are fighting for is the foundation for preparing yourself for this journey. At times, you may feel overwhelmed with sadness or worry. It’s that moment when we realize we can’t control everything except ourselves. It’s not about avoiding these feelings; instead, it’s about managing those feelings so they do not interfere with your day-to-day life. It’s a time to let go and proudly support your soldier. Anxiety will just tear you down but faith and confidence in your soldier’s abilities builds you up. Know that plans won’t always work out and schedules can change in a minute. Your soldier may be on the other side of the country or the world. Your soldier is on a journey but so are you. Embrace the journey. My own journey as an Army Mom has been most fulfilling and I am so grateful to be in it. I’ve gotten to see other parts of the world and experienced other cultures. I’ve met incredible military moms on this journey who have become kindred spirits. Best of all, I’ve gotten to watch my son successfully advance in his career and follow his passion. Our children took a vow to serve our nation. In turn, that vow turned our lives around in many ways. It’s up to you to shape your journey into a positive experience. Facing your fears and finding joy in this journey amid the emotional ups and downs is the best thing you can do for YOU! Explore, make new friends, learn about your soldier’s adventures, and stay busy! Send letters and care packages, use video calling, learn something new! As military moms, we are all in this together. Stay Army Mom Strong! I invite you to join our Facebook community here! What a great article. My son has been in the Army for 3 1/2 years and has matured so much. I’ve been very lucky for the past 2 1/2 years because he only been 2 hours from home. In September he’ll most likely go to South Korea. He is my youngest and I will miss him dearly. I must embrace this! We’re so proud of the man he’s becoming!